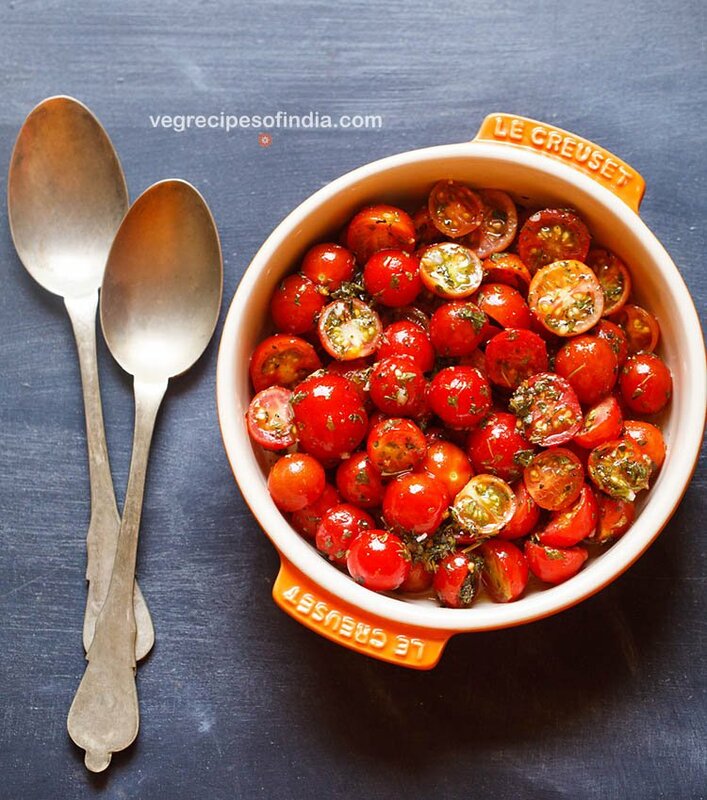 simple, easy, delicious cherry tomato salad that makes for a light side dish or meal for summers. 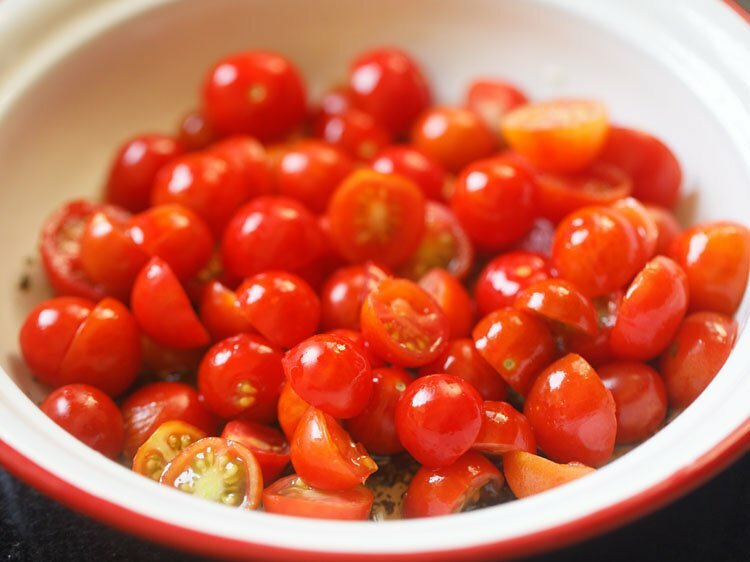 this cherry tomato salad recipe is healthy, gut-friendly, gluten-free and vegan. cherry tomato salad with step by step pics. 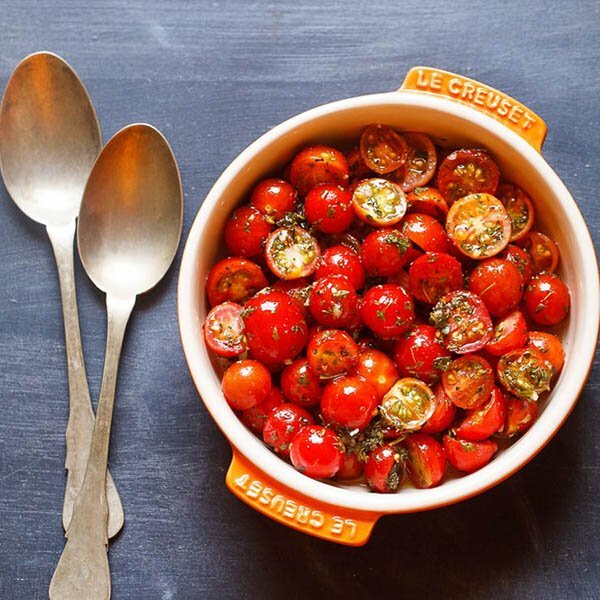 one of the easiest summery salad that can be made is this cherry tomato salad – tangy, tart, colorful and so good. 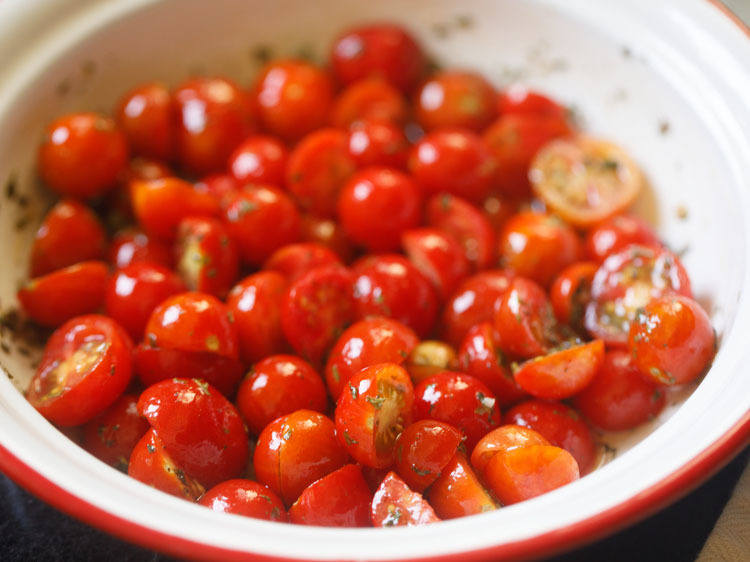 if you love tangy food you will also like this awesome cherry tomato salad. during summers our meals mostly comprise of salads or light meals. salads are easy to make and light on the stomach as well – refreshing, easy to assemble and make. 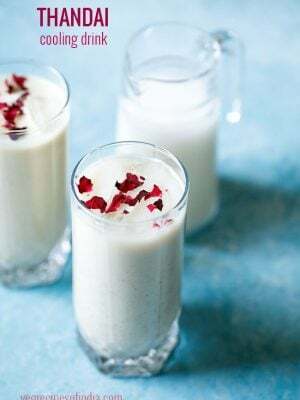 i will be sharing a few easy salad recipes and some milkshakes this summer. i have got many requests for a few salad varieties, soups and milkshakes. so will be sharing them one by one. 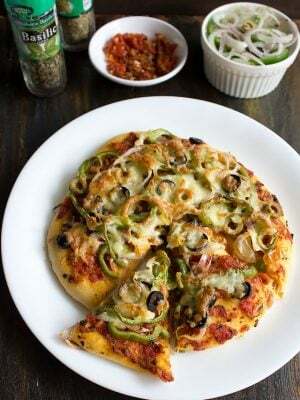 simple and easy to make with spot on flavors. makes for a healthy side dish with any meal be it indian, american, european or continental. easy to digest, gut-friendly and light on the tummy. 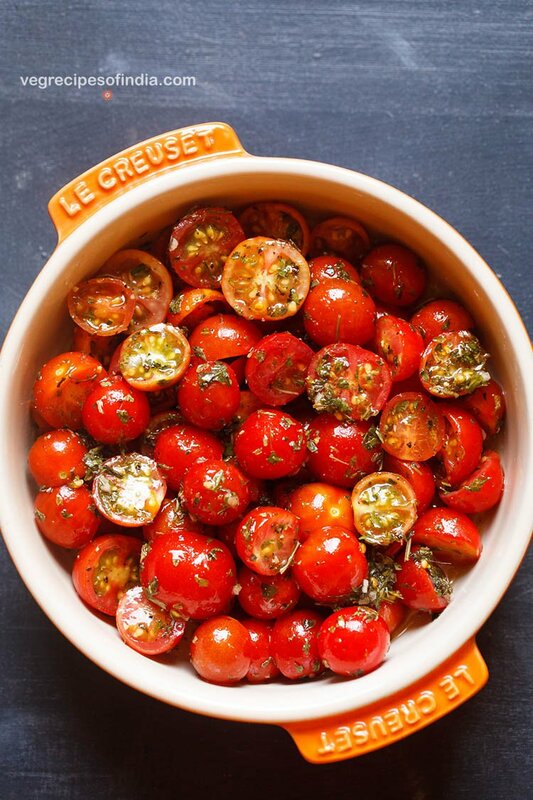 cherry tomatoes, of course – though you can even use small tomatoes or grape tomatoes. herbs – both fresh or dried herbs can be used. basil gives a really good flavor, so don’t forgot to add these. 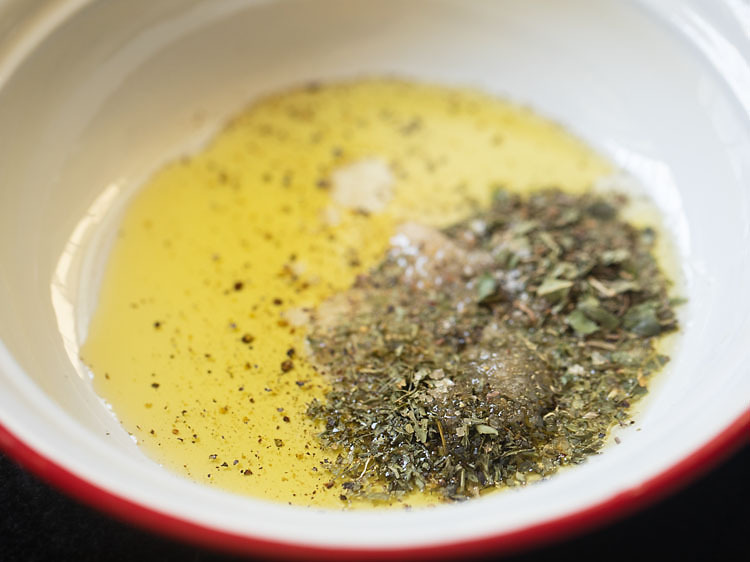 i have used dried herbs and have added my favorites – basil and parsley. i did not have fresh herbs when i took the pictures. though let me tell you that i have made this salad recipe a few times with fresh basil and the aroma & flavor with fresh basil is simply superb. yes, of course, you can add your favorite herbs too. so pick your favorite herbs and add them. 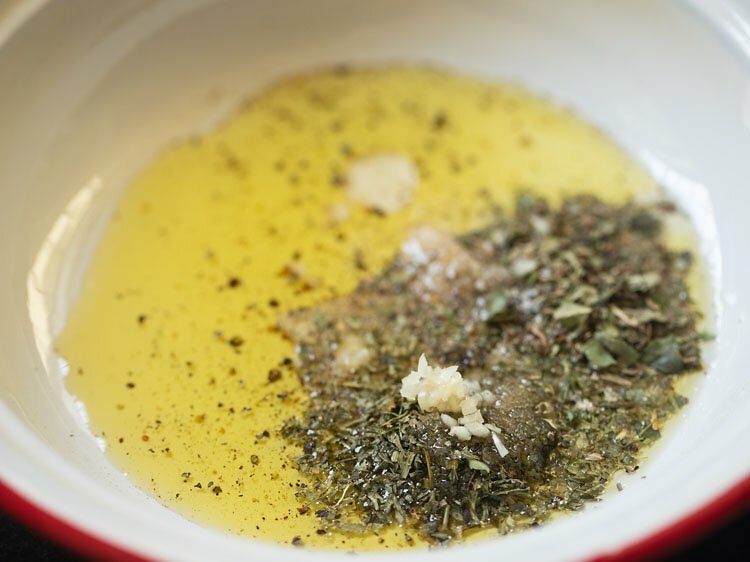 extra virgin olive oil (evoo) – for that peppery and grassy flavor. if you do not have evoo then even a plain olive oil will do. 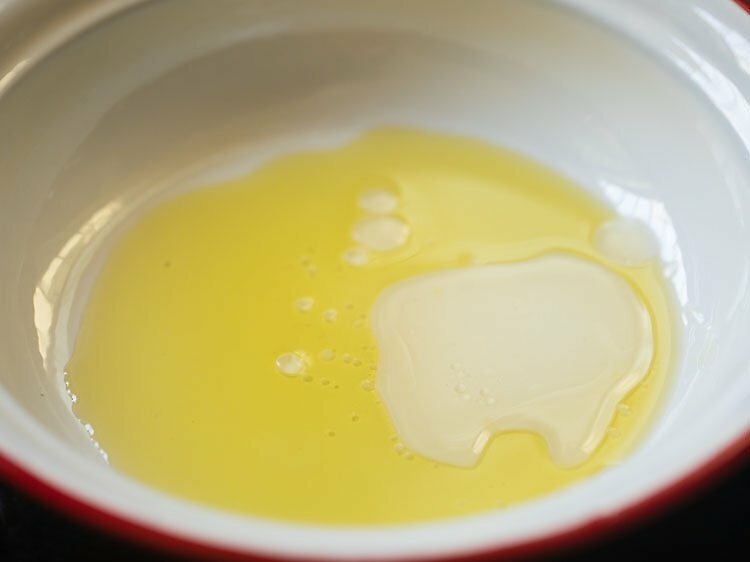 a neutral flavored oil can also be used but with olive oil the salad tastes better. vinegar – to get that sour acidic taste. use red wine vinegar or apple cider vinegar or balsamic vinegar. i have used organic apple cider with the ‘mother’. this apple cider vinegar is nothing but raw, unrefined apple cider vinegar which has not been pasteurized. the ‘mother’ here are gut-friendly bacteria that are actually used when making apple cider vinegar, but removed in many packaged apple cider vinegar as they give a cloudy appearance. apple cider vinegar with mother is easily available both in stores and online. sugar – just a teeny weeny bit of unrefined cane sugar, to balance the sour and tang and bring harmony in the dish. you can even add other sweeteners like palm sugar, coconut sugar or honey. 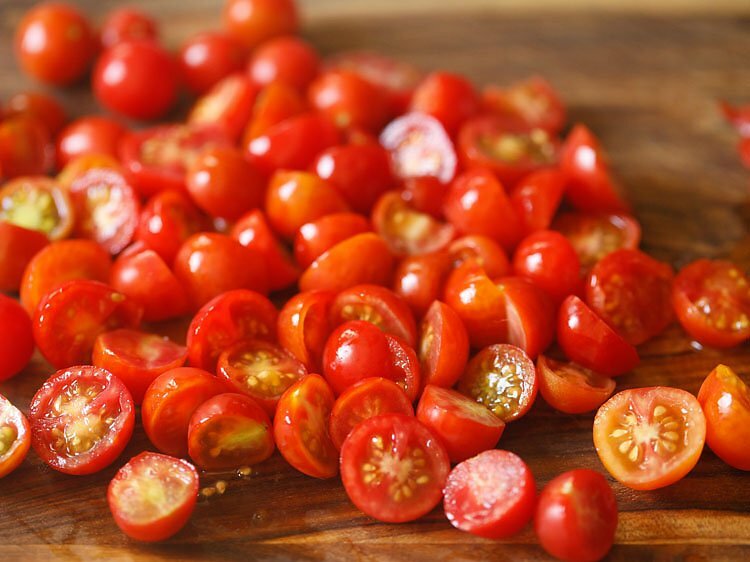 you can even completely skip the sugar if the cherry tomatoes are sweeter. garlic – a bit of garlic to give that faint pungency in the salad. rinse the cherry tomatoes very well. drain all the water and let the water on them dry naturally for some minutes. then halve the cherry tomatoes which are bigger in size keeping the smaller ones intact. in a mixing bowl take the extra virgin olive oil and apple cider vinegar. sprinkle the herbs, sugar, salt and crushed black pepper or black pepper powder. add minced or crushed garlic. whisk briskly so that the spices, herbs, oil, vinegar, salt and sugar are mixed evenly. toss and mix so that the dressing coats the cherry tomatoes. 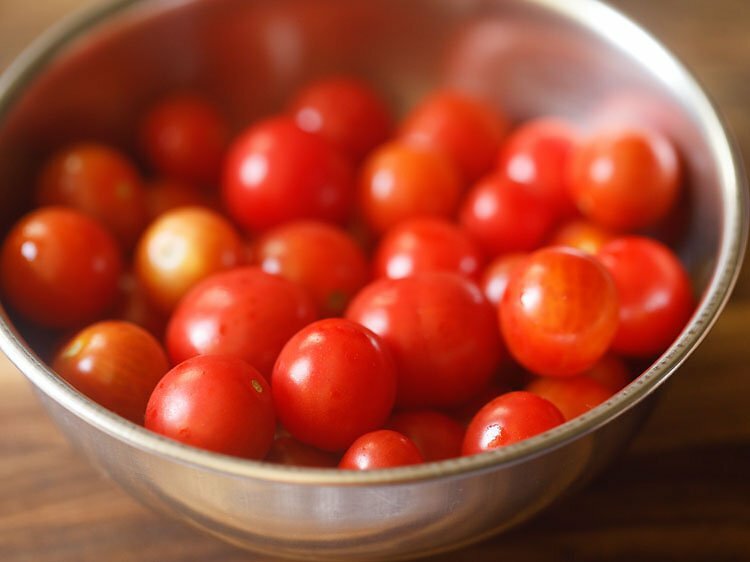 serve cherry tomato salad immediately. salads are best served fresh, especially tomato salads. if you are unable to do so, then refrigerate for 1 to 2 hours and serve later. however, on refrigeration, the taste of the tomato salad does change. while serving you can even add some grated parmesan cheese. you can even sprinkle some herbs while serving. you can add more or less herbs. sugar can be skipped completely. instead of sugar you can also add other sweeteners like coconut sugar, palm sugar or honey. grape tomatoes or small tomatoes can be replaced with cherry tomatoes. 1. rinse 200 grams cherry tomatoes very well. drain all the water and let the tomatoes dry naturally for some minutes. you can spread the tomatoes in a tray or board for drying. you can even wipe the tomatoes with a clean cotton napkin. usually, i rinse the tomatoes an hour before and then spread them in a plate. once they the water dries, then i keep them in a bowl covered with lid. 2. halve the cherry tomatoes which are bigger in size keeping the smaller ones intact. 3. in a mixing bowl take 1 tablespoon extra virgin olive oil and 2 teaspoons apple cider vinegar. you can use red wine vinegar or balsamic vinegar or white vinegar instead. 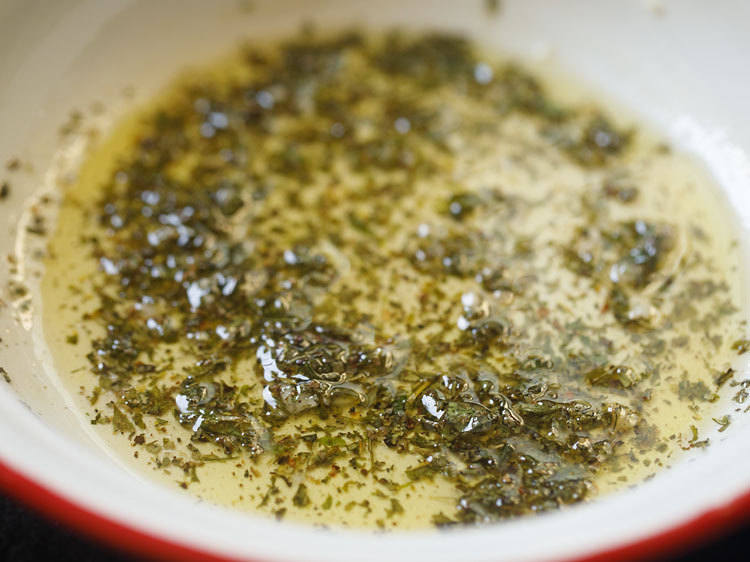 4. sprinkle ½ teaspoon dried basil and ½ teaspoon dried parsley. you can even add ½ tablespoon chopped fresh basil and ½ tablespoon chopped fresh parsley. add ¼ teaspoon sugar or add as required and ¼ teaspoon crushed black pepper or black pepper powder. season with ¼ teaspoon salt or add as required. 5. add 1 small garlic clove which has been minced or crushed. 6. whisk briskly so that the spices, herbs, oil, sugar, salt and vinegar are mixed evenly. 7. add the halved cherry tomatoes. 8. toss and mix so that the dressing coats the cherry tomatoes. 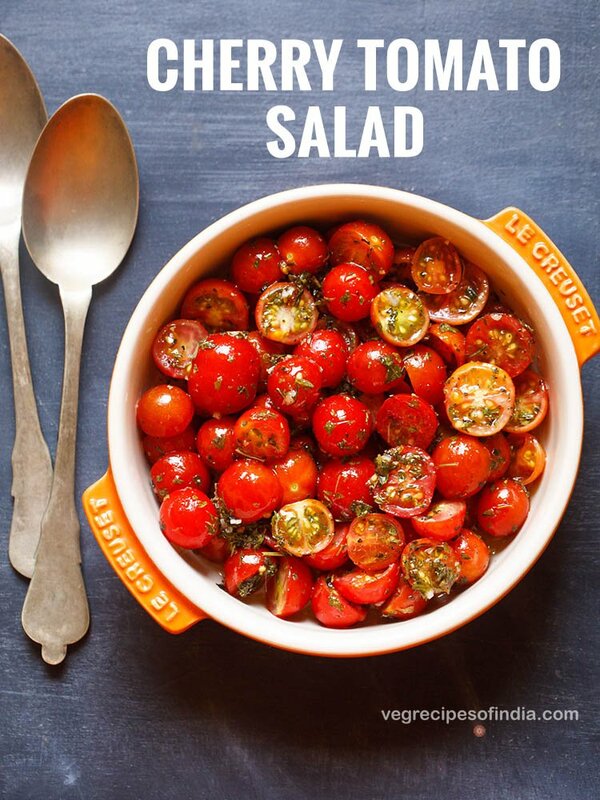 9. serve cherry tomato salad immediately. salads are best served fresh, especially tomato salads. if you are unable to do so, then refrigerate for 1 to 2 hours and serve later. however, on refrigeration, the taste of the tomato salad does change. while serving you can even add some grated parmesan cheese. What mam!!!??? Your parents are south Indians!!?? I’m soooo happy to hear this😎. I will definitely give your receipies a try. 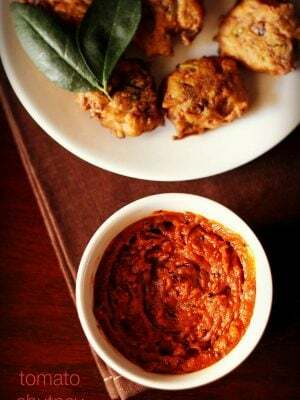 I’m a big fan of butter chicken recipe, it’s such a pride to try it from the inventor of the recipe…. thanks vidhya. 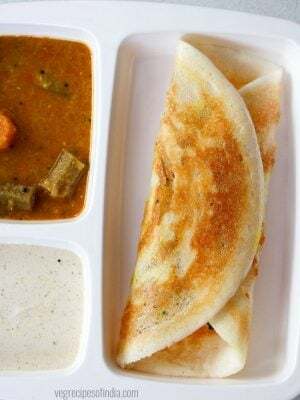 i hope you like the south indian recipes from the blog. the books will definitely help you. i also hope your son likes the recipes you make from the books. happy cooking. This salad was like heaven, thanks for your lovely receipes, your website is my stress buster, and I have developed a lot of my culinary skills from you. 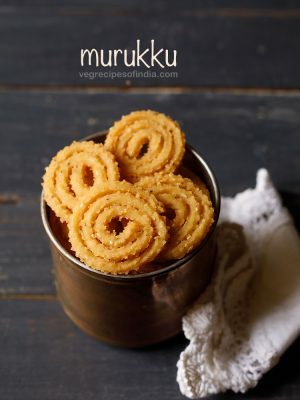 Day by day I’m getting encouraged and more interested to try something different, can you please refer me some South Indian cook books, Tamil cookbooks and also non-vegetarian cookbooks and their availability in USA mam. thank you vidhya. i am glad you liked the salad and it also feels good reading your comment. that is sweet to know of your son. wishing your family all the best. 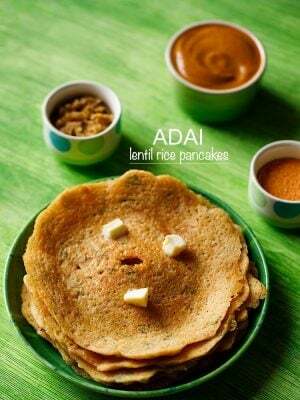 regarding the books – there are many books for south indian and tamil cuisine. for non-vegetarian i can only recommend jiggs kalra’s books. the vegetarian recipes i have tried from jiggs kalra’s books were good. but just go easy on oil and ghee proportions in the recipes. for tamil cooking (specifically tambrahm cooking) samaithu paar is good as a guide. they have three volumes. but use your own proportion of ingredients when making the recipes. there are also books by chandra padmanabhan for south indian cooking. 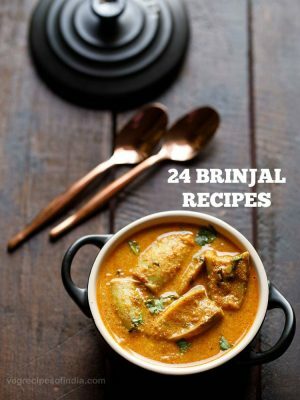 you will easily get these cookbooks from amazon. I’m soooo grateful to hear back from you mam. I would definitely try buying those books and start experimenting mam. Thanks a lot for your guidance. most welcome vidya. 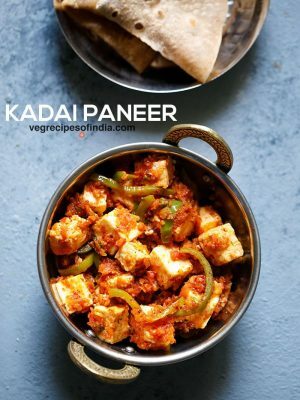 in fact, i have shared many south indian vegetarian recipes as my parents are from south. so you can try the recipes from the blog also. do buy these books and i am sure they will help you. good cooking books are rare to come by and that is why i have mentioned these three books. one more book which i forgot was moti mahal cookbooks. moti mahal is a famous restaurant in delhi and these books have the recipes from this restaurant. kundan lal gujral was the inventor of butter chicken and this iconic dish made its appearance first time in moti mahal restaurant. the recipes are good. from this book, i have made a few vegetarian recipes and they were good.